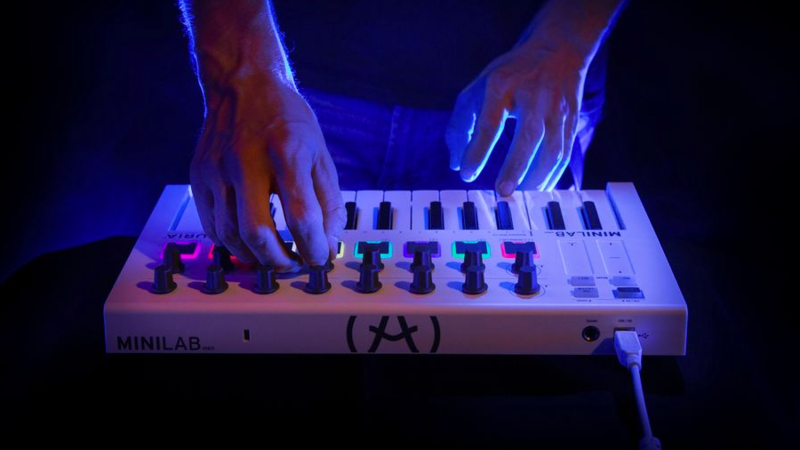 Arturia has updated their MiniLab to MiniLab Mk II, an affortable, portable two-actave controller featuring 25 slim and velocity sensitive keys, eight RGB backlit pads, 16 rotary knobs and a whole lot of software to go along with it. The upgrade from the previous version is focused on an improvement of the internal components, the controller knobs, the keybed and the outer casing. The responsive touchstrip mod wheel and pitch bend are now located above the keys instead of left of it (which saves some space) and you have dedicated buttons for octave shifting. As for software you get Ableton Live Lite for the production needs, Analog Lab Lite (vintage keyboards) for electronic sounds as well as UVI Grand Piano Model D which emulates a Steinway Model D piano. Owners of the MiniLab Mk II gets exclusive deals on upgrading to the bigger software packages too (like Analog Lab 2 and V Collection 5). 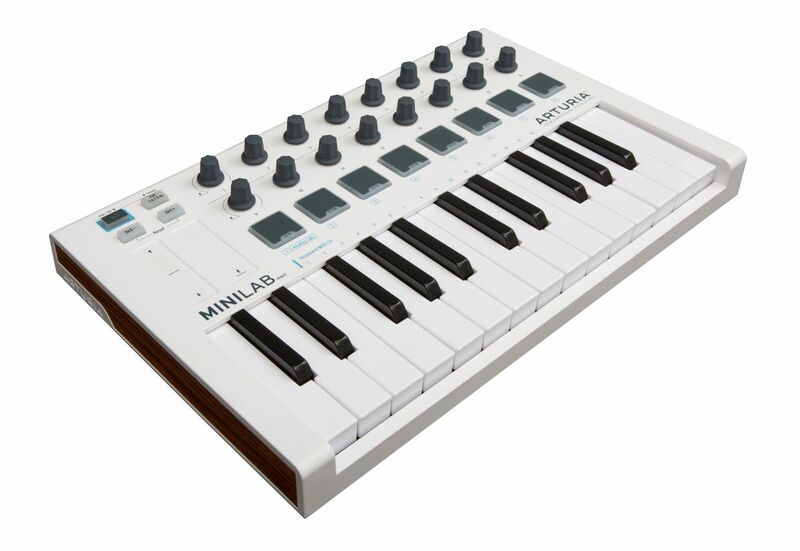 The MiniLab Mk II is currently priced at USD$119 (€99).